The P-Lift 50 Americas Favorite Wheelchair Lift with a 850 pound capacity and the ability to lift up to 50 inches the P-Lift-50 can give you back your freedom providing access to the world as well as to areas you were never able to gain access to before. The P-Lift-50 is one of the quietest smoothest products available when installed and adjusted to factory specifications. 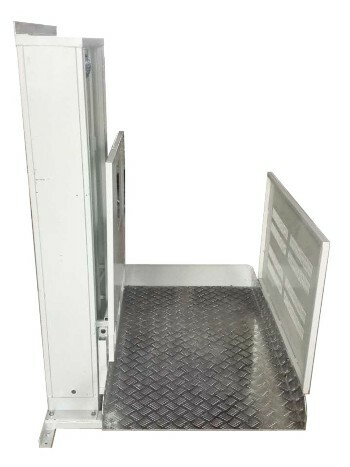 By utilizing an screw design the P-Lift-50 wheelchair lift is inherently safe and you are not exposed to the safety issues that chain driven lift are exposed to. Residential porch lifts are a simple, affordable solution for creating easy home access. 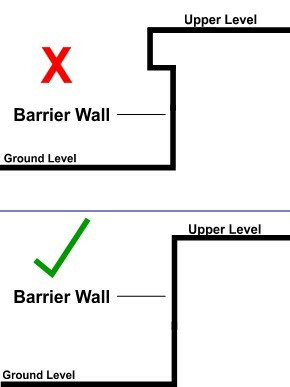 Even a few steps can be a large barrier to someone with limited mobility. A P-Lift-50 Residential Wheelchair Lift is designed for indoor or outdoor use to provide a safer home environment and a better quality of life. The P-Lift-50 is equipped with a keyed ignition lockout so individuals & children can not use the lift when you do not want them using it. The P-Lift-50 also has a emergency stop button and a second keyed locking panel for access to controls. 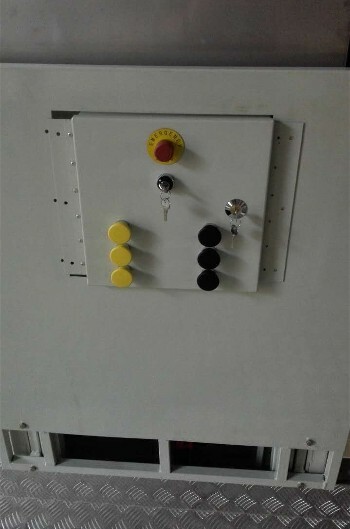 The P-Lift-50 is the only platform lift with three target buttons for up as well as three target buttons for down, this gives a disabled user a far greater range and ability to operate the lift themselves without the need of a aid or 2nd individual to activate the lift. Platform Size 34" x 54"
Lift Footprint 48" x 54"
P-Lift-50 was designed and engineered for home use. It's easy to operate easy to install with the ability to reverse the tower an fold down ramp to either side and is virtually maintenance free. 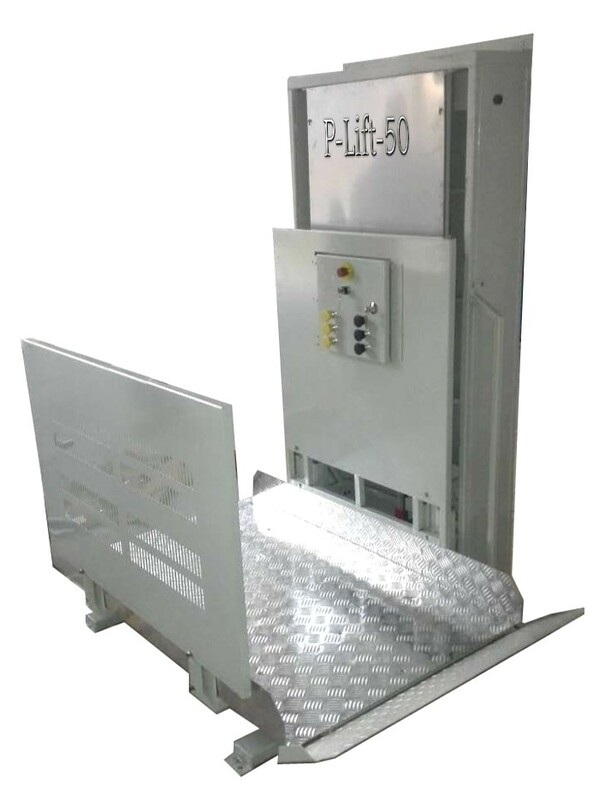 Every safety detail has been carefully designed into the P-Lift-50 including a non-slip platform, constant pressure switches, a low platform for easy roll-on/roll-off, safety barrier and railing, and rolled edges. The P-Lift-50 is a sturdy enough to lift and lower up to 850 pounds and will accommodate electric wheelchairs and scooters. Running on a Threaded Screw rather then a gear box and chain, the P-Lift-50 will provide a smooth and quiet up and down ride, requiring little maintenance. All mechanics are fully enclosed, yet easy to access through the rear or front of the housing unit. The P-Lift-50 completely weatherized and attractively finished in extremely resilient & durable Off White Color. Shipped fully assembled with the exception of bolting on base, the P-Lift-50 install in 5 easy steps. The P-Lift-50 Vertical Home Lift is the economical and practical answer to stair barriers. Standard lifting height 50 inches. The Vertical Home Lift P-Lift-50 Uses a screw rather than a lifting chain. 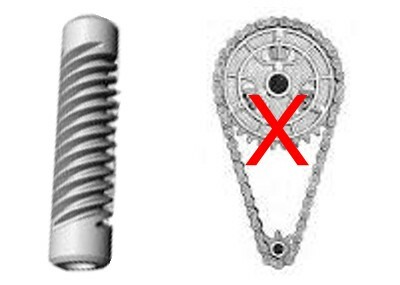 Lifting chains can be very unreliable where as a driving screw delivers a smooth reliable transfer from one level to the next. The P-Lift-50 Vertical Home Lift is one tough, safe, affordable lift.